Especially not if you hold firm to commonly held notions of the exalted nature of the brain – only trouble awaits ahead. For, as Jasanoff, a neuroscientist and Director of the MIT Center for Neurobiological Engineering, tells us, we have created a ‘false idealization’ of the brain, a phenomenon he calls cerebral mystique. Rather persuasively, we are informed that this mystique harbours age-old ideas of mind and body (buttressing dualism), unrestrained free will, individuality, and much more. The theme of this rather delightful book could hardly be more important: What makes you you? Jasanoff is right to highlight that few of us doubt that you is in the brain – it is certainly the part of the body with which we readily identify. Yet, there is a problem: ‘Everything important about us seems to boil down to our brains…[which] sends us in the wrong direction, by masking the true nature of our biological minds.’ Specifically, ‘[b]y mythologizing the brain, we divorce it from the body and the environment, and we lose sight of the interdependent nature of our world’. We are invited to assume a more realistic biological perspective – taking a truly biosocial view of the brain. 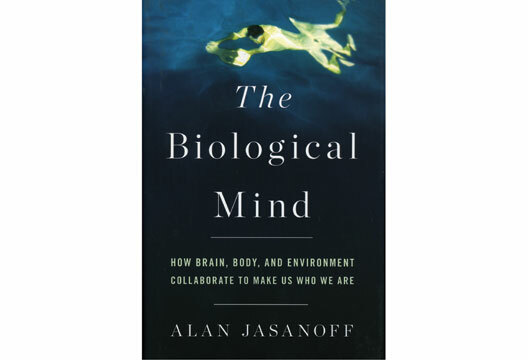 Jasanoff’s is a compelling argument: ‘By perceiving virtual barriers between our brains and our bodies – and by extension between our brains and the rest of the world – we see people as more independent and self-motivated than they truly are, and we minimize the connections that bind us to each other and the environment around us.’ There are important implications of this position: ‘In upholding the brain–body distinction, the cerebral mystique also contributes to chauvinistic attitudes about our brains, minds, and selves, such as the egoism of successful leaders and professionals and the “us versus them” attitude of war and politics.’ Also, a more biologically realistic view of the brain can improve the worlds of psychology, medicine and technology. Wow! On second thoughts, read it.